Denise Kiernan (WSC '91, Steinhardt '02) is the author of a book released today, The Girls of Atomic City: The Untold Story of the Women Who Helped to Win World War II. 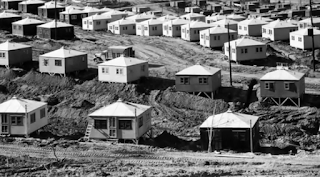 Kiernan's book tells the story of a secret city in Tennessee, a city with a population of over 75,000 people, that was completely hidden from the world as part of "The Manhattan Project" during the second world war. We had the pleasure of talking with Denise about the research behind her book and the legacy of the Manhattan Project. 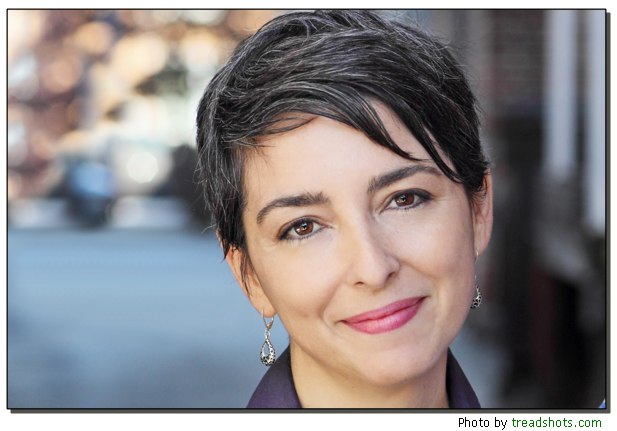 Be sure to come onto campus next week to hear her speak more about her The Girls of Atomic City as NYU's featured author for Speakers on the Square. NYU Arts & Science Alumni Relations: What exactly was the Manhattan Project? Denise Kiernan: The Manhattan Project--more formally known as the Manhattan Engineer District--was a top-secret government program established during World War II for the development of the world's first atomic weapon. Why was the “Atomic City” kept a secret, and how was such a large community (with a population of over 75,000 people) kept from the general public? The need for secrecy was seen throughout the United States during World War II. There was an intense fear that the enemy was always listening and that any information, whether about bombs or troop movements or how many people worked at your plant, could potentially put lives at risk. People were constantly reminded that "loose lips sink ships" and more. Even companies like Stetson, the legendary hat maker, ran an ad during the war encouraging citizens to "keep it under your Stetson." In other words, don't talk about any work you might be doing for the war effort. 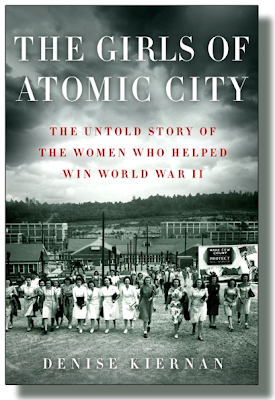 The "Atomic City" mentioned in my book's title refers to Oak Ridge, Tennessee, the main focus of "The Girls of Atomic City" and the most populous of the three primary Manhattan Project sites: Oak Ridge,TN; Los Alamos, NM; and Hanford, WA. The need for secrecy was even more highly enforced on Manhattan Project sites because of the fear that the Germans were also working on a new weapon based on atomic fission. Even though workers were not told, specifically, what they were working on, they were still forbidden to discuss their jobs. If you did, you were at the very least severely reprimanded and quite often fired on the spot and disappeared from your job. How was it kept secret? Press censorship and limited technology helped tremendously. Also, individuals "self-censored," as they themselves did not want to be responsible for aiding the enemy and endangering the lives of troops overseas. In your research, were there any discoveries that you found particularly astounding? That's a tough one to narrow down! I constantly marveled at how the culture of secrecy continued for many years down the road. I was always hearing stories about individuals who only recently fully understood their jobs, and some who still don't. One gentleman told me his mother, who had worked in Oak Ridge during the war, still refuses to talk about her work. I also found it remarkable to just ponder the sheer volume of materials and supplies that came into Oak Ridge on a daily basis, and how quickly and vastly the town grew. The government broke ground in late 1942 and by mid-1945 the town had gone from a mud-pit to a bustling burg of 75,000 people with plants operating 24 hours a day. Astonishing, really. What did the women think about the work they were doing? That varied a lot, depending on who they were, what they were doing and where they were doing it. One of the more interesting things I noticed was how an individual's work life influenced what it was they thought their job might be. Some of the scientists believed it had something to do with uranium and probably fission. Many of the workers in the plants had no idea whatsoever what purpose their jobs served. Most didn't speculate or ask questions, because you weren't supposed to. Curiosity was not encouraged and there were a lot of plain-clothes informants roaming around. Are there any lessons we can learn from the Atomic City? There are certainly lessons of endurance and sacrifice. World War II was a time of rations and scarcity for many, and the people of Oak Ridge were no different. Many of these women left their homes, small towns and the lives they knew to go to an unknown place and do a job that wasn't described to them, one that they were not permitted to even talk about. They did it because they believed in the cause of the moment: ending the war and bringing home their family members who were fighting. There are lessons of determination, for sure. To this day, you can hear people say, "We need a Manhattan Project for..." then fill in the blank: for climate change, for breast cancer, for mapping the brain, for childhood obesity. "Manhattan Project" has come to represent an all-out effort, a complete dedication to one particular goal. Whether or not you agree with the outcome of the project and how it was employed, the significance of what was achieved in such a short amount of time is a lesson in what can be accomplished with great determination and commitment. On your website, you explain that we will not find any of your ghost written titles because, “you know, that’s kind of the point.” Can you tell us what sorts of topics you do ghost write about and (/or) why you sometimes choose to be anonymous? Ghost writing is an interesting field and one I enjoy. "Ghost writing" is also often used as a blanket term that might refer to co-writing or some other form of writing in which an author uses outside help to get their story done. This is often, but not always, the case with celebrities, or perhaps business people who have a particular message but not necessarily the time or abilities to put their thoughts in book form. The choice to be anonymous is not mine. Whether or not I'm completely anonymous (or just a little hidden) really depends on the primary "author" of the book. Some people I work with don't like to necessarily highlight the fact that they have had help, and I'm nowhere to be found. Others are very open about my role or thank me in the acknowledgements. I have also been listed on the cover as a "with." I've worked with actresses, entrepreneurs and sports stars. It's fun to dive into someone else's life for a while. What was your favorite course at NYU? Another tricky one! If pressed, I have to go with French. Oddly enough, it wasn't a major or a minor for me, simply a requirement, but I've always loved languages. I remember having two TAs, one from Paris and the other an American who was a true francophile--so enthusiastic. Having both perspectives and both approaches to learning language--that of a native and that of a non-native speaker--was interesting to experience and really cemented my love of other cultures. The class itself was small and I had the most hilarious classmates. There was a lot of laughing and there were a lot of really bad accents, but we had a pretty good time. The year after I graduated I ended up working as an au pair in France. Tennessee is indeed a great place to live in much like the kona kai apartments albuquerque I've seen.